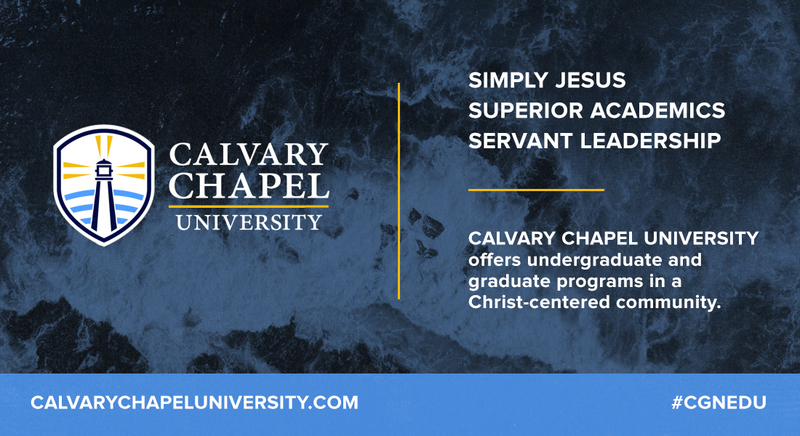 Calvary Chapel University desires to be a premier, Christian higher education community loving God, loving others and making disciples of Jesus Christ. “Go ye therefore and MAKE DISCIPLES of all nations, baptizing them in the name of the Father and of the Son and of the Holy Spirit, teaching them to observe all things that I have commanded you; and lo I am with you always, even to the end of the age” (Matthew 28:19-20). We would love to hear from you! To learn more and contact us, visit calvarychapeluniversity.com. ​Deven Berryhill is the Director of Marketing, Admissions & Student Services at CCU.